Rewards are items or discount you want to give to your members. It is recommended to maintain at least 1 reward redeemable by all members. 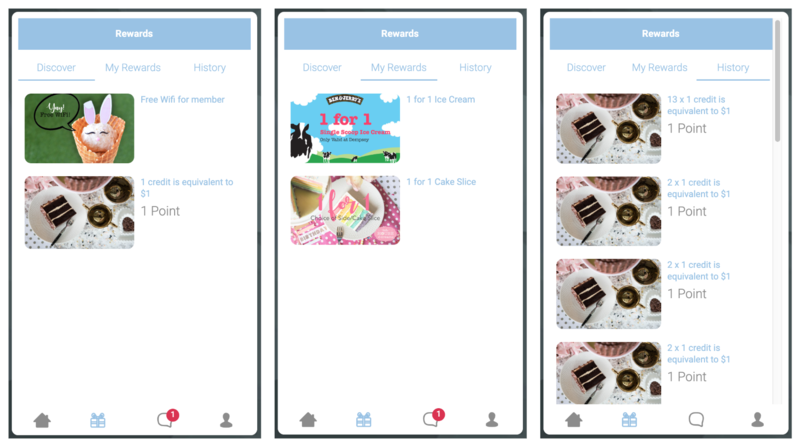 The rewards are viewable in the member’s WebApp under Discover tab. 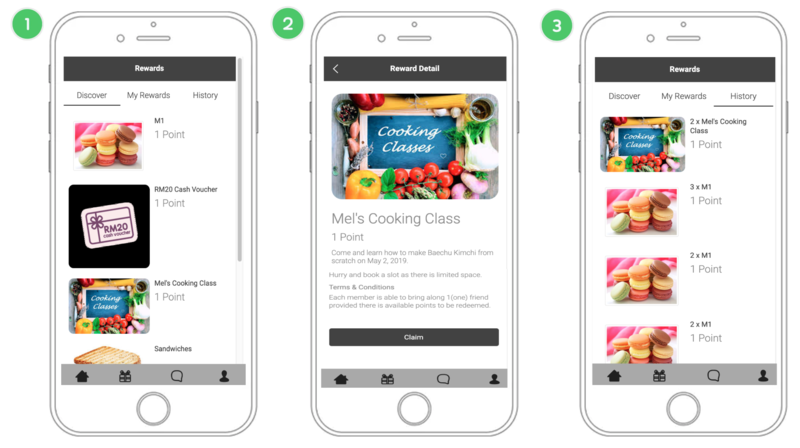 It gives members an overview of all the potential rewards available in your member program and encourages them to take more actions to obtain them. When a member claims a reward, it will be saved in the My Rewards tab. Once a reward is used, it will appear in the History tab. Reward normally need minimum 1 point or more, so when a member redeem it, they will use up their point. Rewards can be redeemed with 0 points. 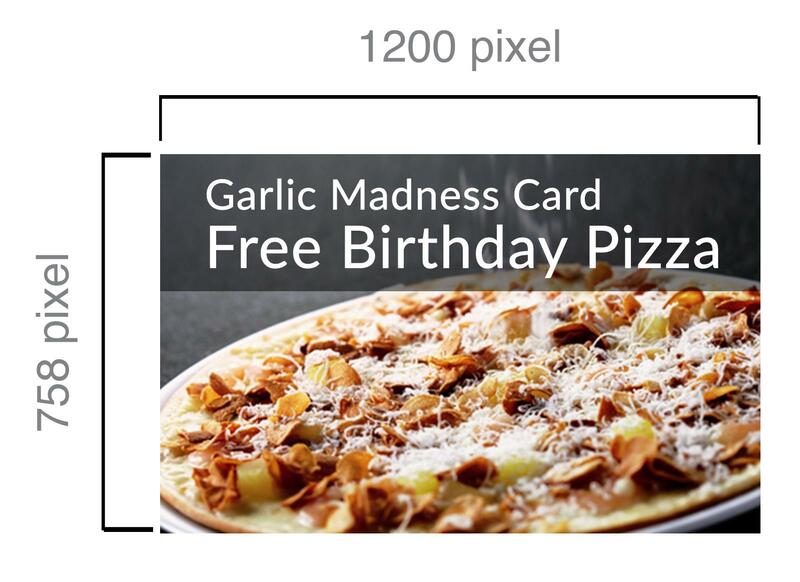 If you have a reward that allows your member to freely redeem, you can set to 0 point. You can limit the number of time a member redeem a reward. For example, you have a special holiday reward that you want to limit one redemption per member, you can set it accordingly. You can have description, terms and conditions set for each reward, they are visible in member WebApp and StoreApp before redemption is done. You can maintain and set visibility on different list of reward for each of your membership tier. You are able to input the available quantity of a specific rewards. For example, there are only 50 free gift item to be redeemed. Always use a nice photo that represents the reward to build the excitement towards your reward. It also improves your overall branding. Always state clearly in your terms and conditions when and how the reward can be used. Make sure your staff are aware of all the rewards and able to answer potential questions. Depending on the industry, rewards normally goes by 1% to 3% of spending value or up to 5%. For example, when a member spends $100, the reward would be between $1 to $5 of value. *Differing membership structure may have different effect for businesses. Applying to the correct structure will maximise membership system results. 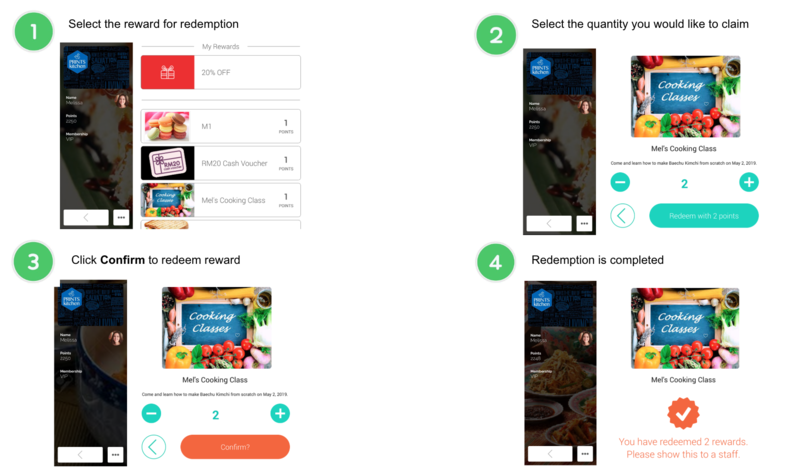 Image enhances the visual attraction of members for reward redemption displayed in member WebApp and StoreApp.